I am hopelessly in love with Quincy. The lengths that cat will go to find food just crack me up. In this second book in the series he stows away in a basket to the Bunyan County Harvest Fair where Chase and Anna have a booth to sell their dessert bars. After eating his way across the fairgrounds he ends up in the building where a Butter Sculpting Competition is being held, and one of the competitors is found dead with a sculpting dowel sticking out of his ear. Local vet and Chase's love interest Mike Ramos is accused, but Chase soon learns that the victim's fellow competitors, vendors, and his very own wife had reason to want him dead. Sub-plots include a personal crisis involving Bar None employee Inger, and the theft of a diamond-studded cat collar (the grand prize in a cat costume contest sponsored by Picky Puss Cat Food). The killer's identity remained a mystery to me until the very end, and the part Quincy plays in the capture is just priceless. The two recipes at the end of the book I will most definitely be trying out soon: Harvest Bars for myself and Go-Go Bars for Truffles. May the chubby tabby be on the hunt for murderers and morsels for many, many more books to come!!! Fat Cat Spreads Out sounds like a fun book! Thank you for the giveaway. 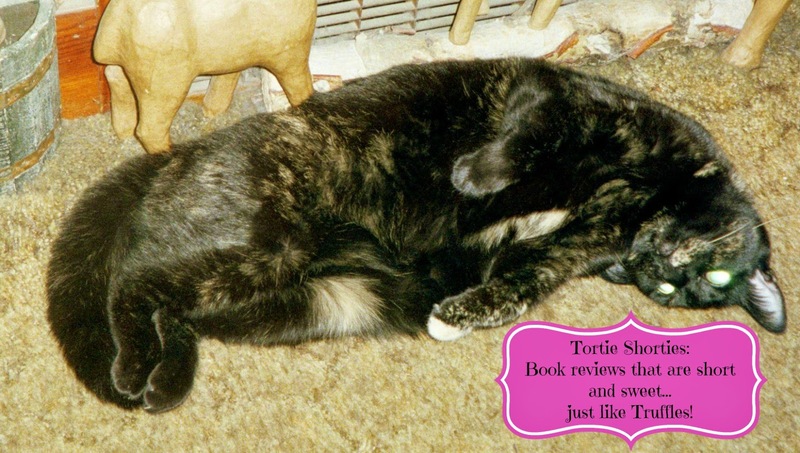 I love cozy mysteries, especially those in which kitties play a significant role—this is my kind of book! It sounds like plus-size Quincy has a plus-size personality! Thanks for the giveaway. Sounds like a great book. Really cute cover. Thanks for the chance. Looking forward to this one.... Thank you for chance! A cat eating his way across the festival, a butter sculpture, and a murder. Sounds good. Quincy sounds like an adorable character! This seems like a really fun mystery with all of the fixin's. Thank you for the review! Gotta read these books! They sounds like a great sit in the sun and veg read! My son's cat Boba Fett looks an awful lot like Quincy. I'm pretty sure it will be a while before our son's baby girl catches up to Boba's size. I'd love to read more about Wuincy! Oops! Quincy, that was supposed to be. Sorry, Quincy! My plus size kitty Shadow and I would love to get to know Quincy:) Thank you for the chance. Can hardly wait to start this series. Love this Blog!!! I find the best authors to read on this blog!!! Aaaaaaw Truffles you awe so gawjus. Enjoy yous day and have a gweat nap. Sounds like a great book and I love the kitteh. Can't wait to see more of Quincy (and Chase). Thanks for the chance to win. This book sounds great. Thank you for the chance. Thanks for giving us all the chance to win this book. Sound good. Love this series. excited to see what his next adventure will be. I love mystery series with kitties in them! The title certainly applies to my "little Stella". Thanks for the giveaway and for my chance to win a copy. I would love to win this! Love my cats! This is on my summer reading wish list. The title and cover crack me up! I'd be thrilled to win it! I loved Fat Cat At Large. I'm looking forward to reading this book. I'd love to read book 2 in the series! !